The White T-shirt. It seems like such a simple concept, but finding the perfect one is next to impossible. 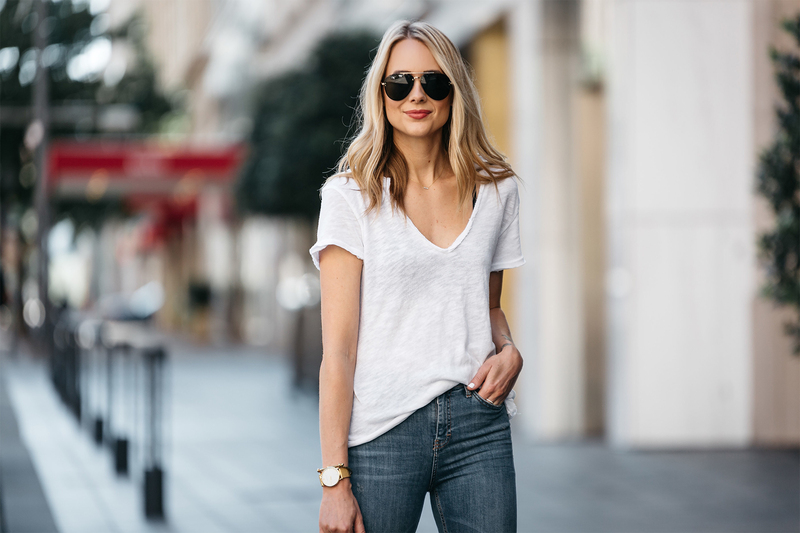 I’ve gone through all kinds of brands, cuts, and tones but finally found my favorite one this past week at – SURPRISE! – Nordstrom. I love the cut. I love the raw hem detail. I love how it fits. I just love this white t-shirt. 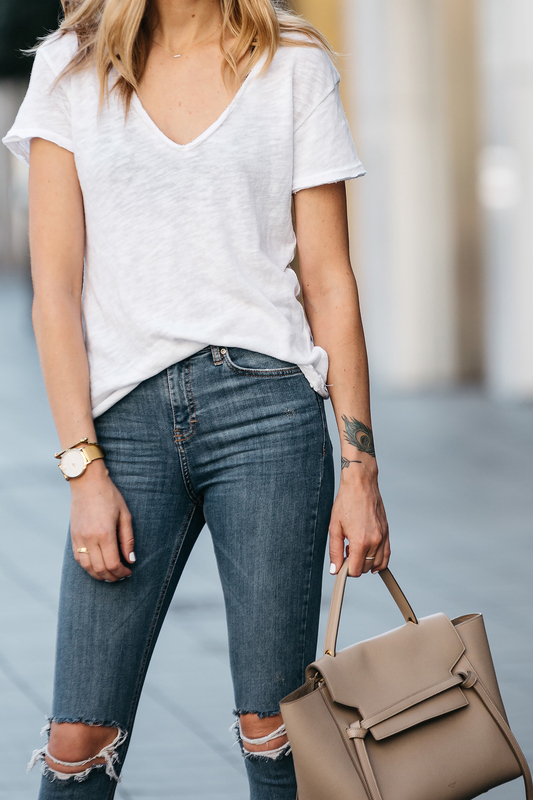 Of course, the best part about any white t-shirt is that you can wear it casually or dress it up. 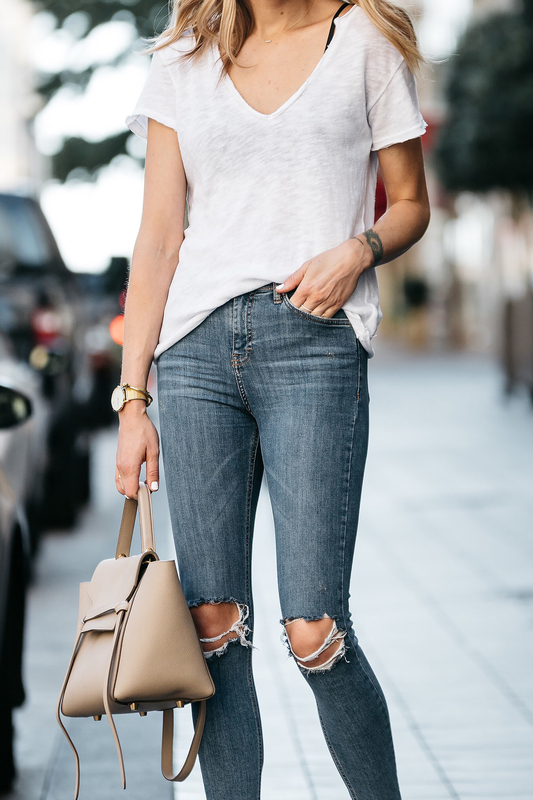 I threw it on with some of my favorite ripped denim and trusty white pumps, creating that coveted “t-shirt” look we all go for. Add this shirt to your collection — you won’t regret it. Love the whole look. Casual chi perfection!